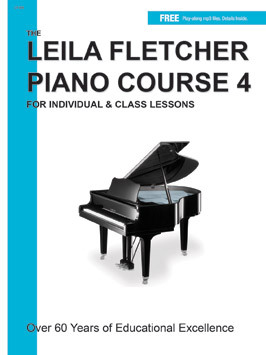 Leila Fletcher Piano Course Book 4 includes such repertoire selections as Scarborough Fair, Music Box Dancer, The Entertainer, I’ve Been Working on The Railroad, Moonlight Sonata and many more. Titles carry original catalogue numbers, as well as biographical and historical information. In addition to being a natural continuation of the Fletcher Piano Course Book 4 works well as a quick study collection, sight reader and recreational book.